Brogan: Master of Castles has a release date! It’s finally here! 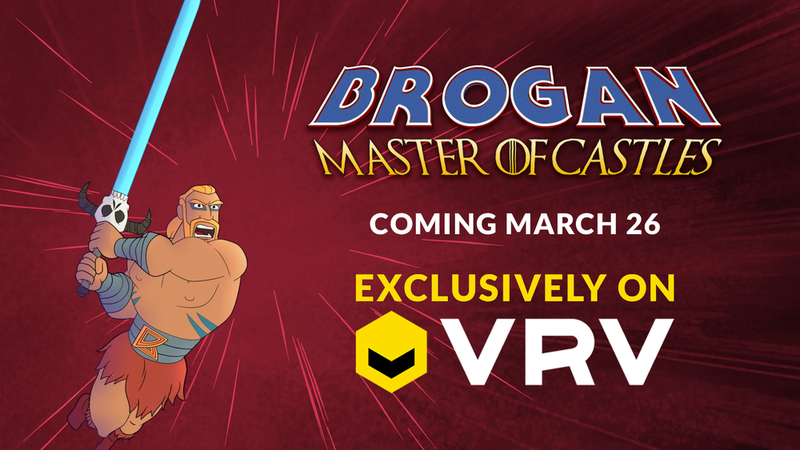 Brogan: Master of Castles will air on Mondo VRV March 26th! Unfortunately for our Canadian friends, this will be tough to find as VRV is currently in the US only (check your local listings?). Hopefully Canada will follow soon, but until then, maybe plan a road trip to visit your aunt in Memphis? Hit up Graceland and then watch some toons that will likely offend her (maybe wait until she goes to bed). If you’re a US resident you’ll soon be able to watch all 6 episodes on your chosen device and be the envy of your neighbours across the Northern border. In the mean time, we have a few trailers that will be dropping on youtube, and, as we understand it, the pilot episode will be available world-wide on Youtube. Keep checking back for more info as we’ll be linking all content from this site! Older PostNew Series - New Site!